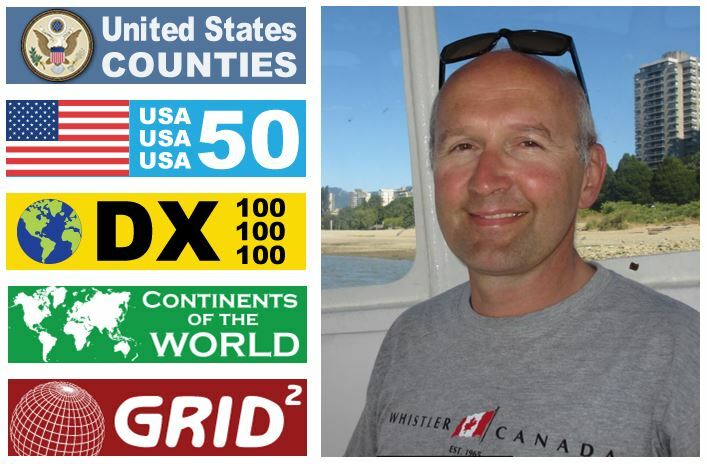 welcome to the website of the German Amateur Radio Station DJ1AE, OP name is Michael. My club is P04 (papa-zero-four) registered in the city of Heidenheim, a sub-organization of the governing body in Germany, the DARC / Deutscher Amateur Radio Club. 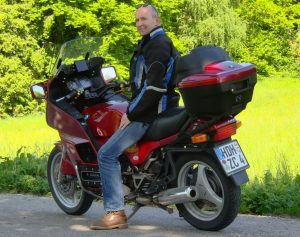 I am a German radio amateur with focus on SDR technology. I was fascinated by wireless communication since my childhood. In the early 1970’s, we kids played around with DX possibilities of handheld AM transceivers, not knowing anything about oscillator circuits. How far could it go? Though mankind visited the moon already, no one of us would have imagined the todays possibilities of band monitoring and real time DX prediction. Nobody could even think of a platform like PSK reporter. Growing older, I left my childhood behind, together with my dreams of DXing and the wireless experiments. Other subjects caught my interest, making money, spending money, preferably with young ladies and good friends. I reactivated my childhood dreams in the year 2006, achieved the class E license and operated the call DO6KMS for a few month. Later in the same year, I upgraded to class A, owning the call DJ1AE since then. 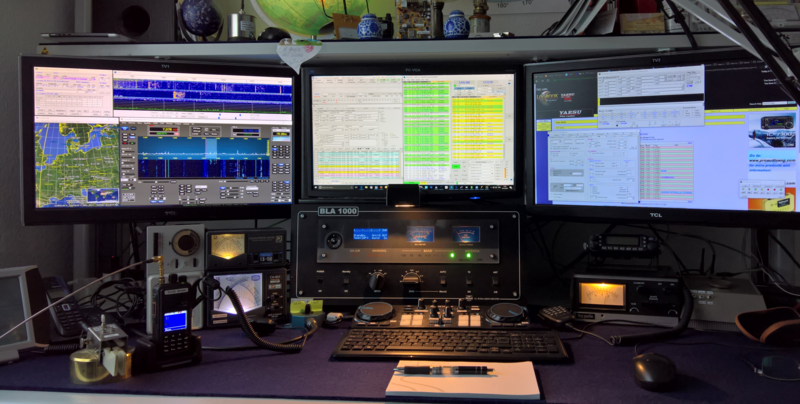 Since August 2017, also maintaining the US call AE1DJ. Today, I operate on all HF bands, also the new 60m band. Of course the bands above 15m are not so fruitful these days since the conditions are offering not too many opportunities. JT is my favorite mode these days. WSJT (also JT) is a weak signal communication developped by K1JT. You can also find me on DMR (digital mobile radio). Scrolling further down you will find some images of my favorite QSL cards and links to www pages that found my interest and that I can recommend. You will also find a download link to the photo story of the homebrew project “Christian Coupler”. It tells the story of the onset of this useful symmetric matching unit, mainly illustrated with pictures. Thus it will be easy to understand though it’s issued in German language. This symmetric coupler will bring you ON AIR throughout all HF bands with a simple dipole wire and a symmetric feed line. Low loss is a basic propperty of symmetric feed lines. This antenna system can deal with minor mismatch and it provides high efficiency. The antenna principle is known as DZEP (douple zeppelin antenna) or LEVY antenna. The extent of my radio equipment is rather small. I am running an SDR TRX from Apache Labs, the ANAN100. My homebrew DZEP antenna is good for all HF bands, thanks to the symmetric coupler! On 10m / 15m / 20m I can alternatively use the FB33, a 3-el trap yagi. You will see pictures of my antenna farm further down. I am closing my introduction here and hope I could trigger your interest. See windyTV for information related to global weather, inluding atmospheric pressure, clouds, rain, temperature, wind. The graphic presentation is really neat. The below window shows the wind vectors only. If you would like to visualize the other parameter, visit windytv.com it’s pretty cool! Simply hover your mouse over the above window. Use the hand to zoom and move the map. Click once to receive information about one particular geographic location. An outstanding web performance, a great weather visualization platform.